You may not have as much experience installing metal roofs as the conventional asphalt ones.Because you are not as skilled in the area of metal roofs, there might be defects in your workmanship. Your homeowners might seek compensation for these defects through your roofing insurance. Before starting your initial metal roofing projects, have your agent evaluate your general liability coverage to ensure it’s high enough to cover anything that may go wrong. 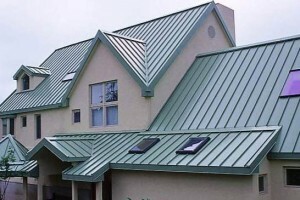 More and more consumers are choosing to add metal roofs to their homes. However, their knowledge about these roofing systems are limited. As the contractor, you will not only install the roof, but also help your client understand the metal roofing types and products, which fit within their budget and meet their immediate and long-term needs. What you need to focus on with your clients, so they are well briefed when they make this major investment of a new roof, consists of four areas. You need to review the metal roofing types, finishes and coatings with homeowners. You want to dispel any notions about negative features not existing in new metal roofs that were present in old fashioned metal roofs. You must help clients understand how the roofing system will provide them with maximum energy efficiency. Cost is comprised of three factors: the metal chosen, the roof configuration and the installation charge. 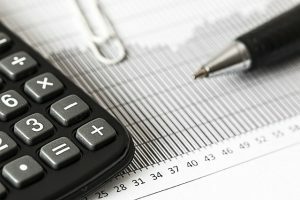 Your estimate should detail these three areas, and how they each contribute to the final price. Metal Shingles employ interconnected horizontal metal panels that when installed look like shingles. Stone Coated Steel Tiles and Shingles employ heavy grade steel panels coated with crushed stone powder. The finishes for metal roofs vary in color, textures, and materials. The choices are so overwhelming that it is important for you as the roofing contractor to narrow the field. Most of your customers only experience roofs is seeing rusted ones on the sides of country roads or maybe industrial areas. Your customers notions about metal roofs are outdated. You need to update them. The large pinging sounds associated with tin roofs have been eliminated by using solid plywood decks to muffle the sound. Rusting has been virtually ruled out by anti-corrosive coatings. However, purchasing products certified by the Metal Construction Association will further safeguard your roofing system from corrosion. When choosing a roofing system in a cold climate, the heavier grades of steel make the desirable choice because they can endure the harsh weather. What your client needs to know is how steel is graded. Steel graded a 24 has more thickness than one graded a 29, which is thin and of lesser quality. Cool metal roofs are being touted as having up to 40% energy savings in the warm climates. Part of the savings is due to fact that the metal surface and coating reflect the solar rays. The emissive qualities of the painted and granular finishes are said to remit up to 90% of absorbed radiation. The cost of materials and installation for the four types of metal roofs have been estimated on the Web. A corrugated steel panel roof would cost $4-5 per 1 sq. ft. Metal shingles price at $7-9 per sq. ft. and stone coated steel $8-9 per square foot. Standing seam comes at the top with a rate of $7-13 per sq. ft. These calculations only tell part of the price story of a metal roof. Waste, which can consume 5% to 20% of materials, is a factor consumers usually aren’t aware of that routinely happens. Many times customers don’t subtract the savings on insurance or energy costs. Your clients may not also factor in the positive effects on home resale value. You, as the roofing contractor, must also factor in these considerations and many others when building these trendy metal roofing systems. The margin for error working with new materials, systems and techniques is high. and you will have to deal with defects. 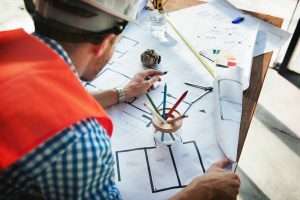 The cost of those defects will be many times passed on to your contractors insurance, which provides the umbrella coverage for your general liability insurance. Be sure your roofing insurance is up to date.